300 days! The end of the challenge is in sight. 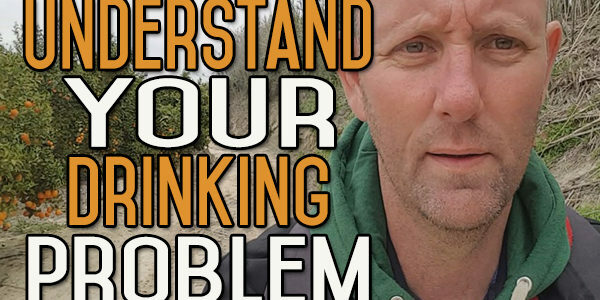 Today’s video is about finding your particular drinking problem. It’s not about the alcohol, that’s not what this whole thing boils down to. It’s about something else. Something underneath that keeps us going back to this type of shallow instant solution. What’s your problem? Today’s topic is understanding your alcohol problem. Once you understand it, I think you’re halfway to quitting and getting away from alcohol altogether. I think most of the time as drinkers, and as people who want to quit, we don’t actually see what the real problem is. In reality, if you take the alcohol out, you can replace it with another drug, and it’s not going to do any good for you, because it’s the drinking thinking, it’s the habitual thinking of instant gratification, that you can get instantly gratified by taking a drug, or that this instant gratification is going to give you anything more than that. I know we all share the same commonality of alcohol. This is why we’re all here. 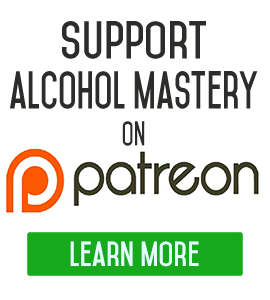 Alcohol mastery is the name of the game. All these videos talk about alcohol, but it could be anything else. It could be something innocuous in your life, like watching too much TV. I know people that spend hours and hours playing video games or watching TV. That is just as much as a waste of life, although it might not be doing you as much damage physically as drinking alcohol would do. Many people would argue against that and say it does cause a lot of physical damage because while you’re doing that, you can’t be doing anything else. There was a big thing there about 10 years ago when trying to get people up and out of their chairs while playing video games and moving around and stuff like that, but the most fun to be had on a video game is when you’re sat down on the couch with your shoes up and drinking coke and that kind of lifestyle. It’s an instant gratification thing. 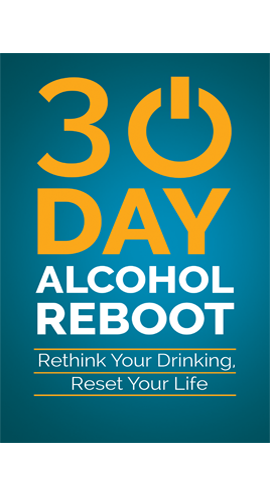 To go back on topic, one of the problems of people quitting drinking alcohol is that they just don’t know what to expect afterwards. That’s where a lot of the fear comes form, a lot of the failures because people expect that just quitting should be enough, that not going down and buying it and bringing it home and pouring it out into their mouths should be enough to change everything. It takes out one of the damaging parts of the equation, but you’re still left with the thinking, the rituals and the behaviour. And, you’ve got to move away from the drinking, from all that behaviour, from that lifestyle. You have to leave a lot of that behind You have to change so much of it. You’ve got to pursue other things in your life. You have to move yourself forwards and get other things in your life. Pursue your dreams and goals, or whatever it is you’re going for. But you have to have that big something to aim towards. That’s going to pull you away from the alcohol and pull you towards something better. So with that in mind, I think some of the best time you can spend before you actually stop drinking is in making preparations, in thinking about where you are now, how you got here, and just thinking about your drinking problem from that perspective, when you started drinking, how it’s progressed over the years, and all the problems it’s caused in your life. 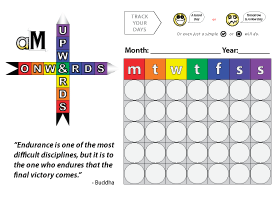 Then think about where you want to be, where you want to progress to when you do stop. When you get to that stage where you have a lot of stuff written on paper. Write it down because it’s the best way of not only remembering this stuff, because you will forget it if you don’t write it down on paper, but of provoking other thoughts and ways of thinking and avenues of thinking about this. When you start writing down things, you’re really focusing your energies and your mind on one specific area. It’s when you do that, that other things start to pop up and you start to think ‘oh jeez, I never thought about it that way’. Or maybe if you look at things in a different way that it helps you to see your past in a different way, or your future in a different way. I’m just saying that once you can sort of understand your problem, your own personal drinking problem…I can talk until the cows come home about what my problem was, but it’s not going to be the same as yours. Everyone has got different problems in their lives because of the alcohol. Everyone’s got different problems in their lives, period. But a lot of the time, you don’t do as much as you should be doing towards solving your problems or moving yourself towards the place that you want to be in your life because of the drinking. 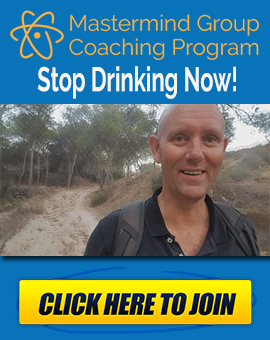 The drinking is a double-edged sword; it’s stopping you from doing what you should be doing and it’s also creating a lot of problems in your life. So, I’m just saying, if you spend a lot of time before you stop drinking, just thinking about where you are now, thinking about your own drinking problem, thinking about it from the perspective of your environment, the people around you, how it’s evolved over time; and think about how it would have evolved if you hadn’t stopped. This is going to help you so much on your journey. I’ll leave it there. Until next time, if you have any questions, leave them down below.